Neon Racer is a multi-user mixed-reality tabletop racing game adapting the simple and powerful gameplay of racing games to an MR tabletop setting. The game combines an intuitive and tangible interface with quality content. In this project we explored how a rich gaming experience can be created by using only a limited amount of virtual information. The game compacts the use of virtual elements to a minimum, displaying only the players' racing vehicles and lap checkpoints. 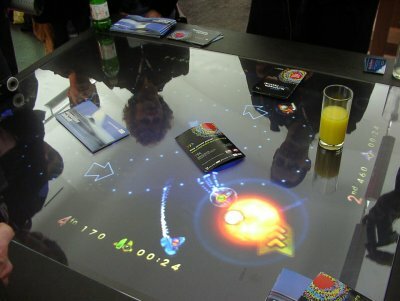 The active setting for the game is provided by the physical world, and all its parts can influence gameplay. Physical objects act as collision obstacles and influence the course of the race itself. 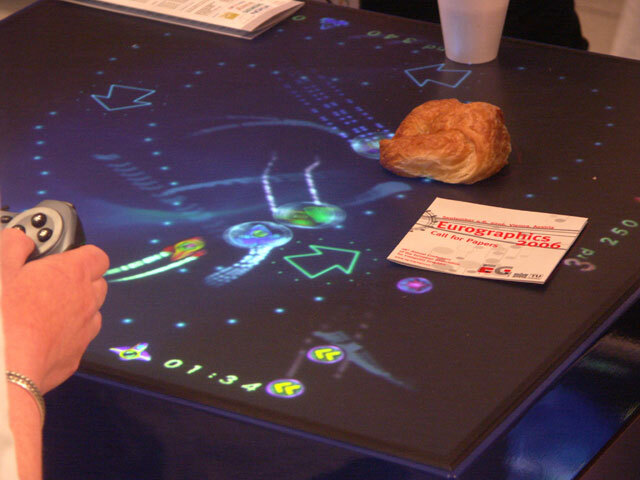 Participants have to interact with both the virtual and real objects to succeed. The project was conducted as master project at the Upper Austria University of Applied Sciences for the Digital Media program. 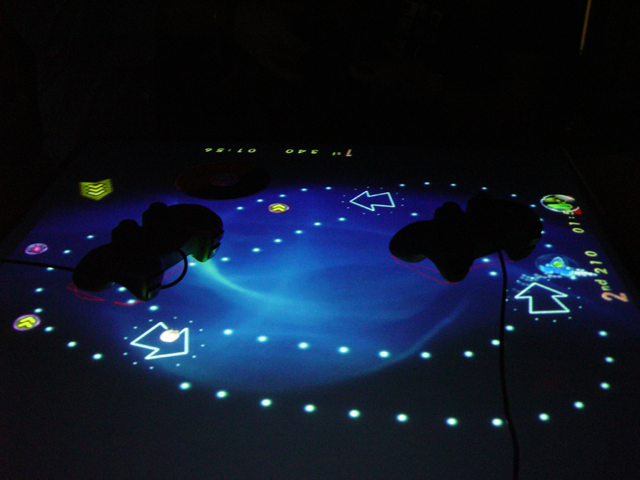 Neon Racer was presented as demos at ISMAR 2005 and Eurographics 2006 conferences and as sudent paper at CESCG 2005. In 2005, it was awarded the Europrix Top Talent Award in the category games. 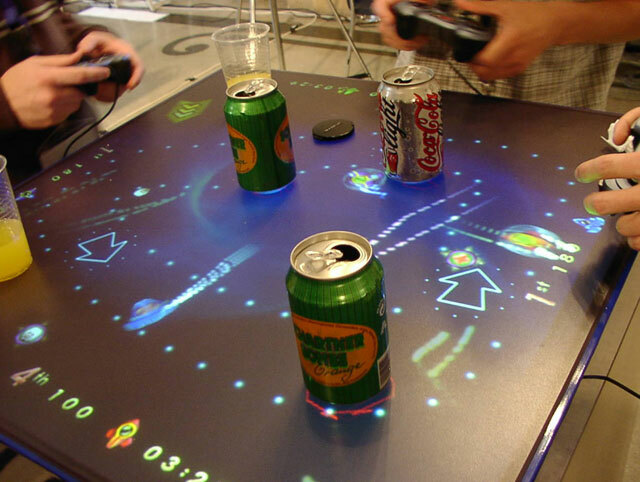 The neon racer bar table with game pads to control the vehicles and physical obstacles on the tabletop surface. Was employed as a game developer at EA games after graduating and is now game developer at Sproing Interactive Media. Is now a PhD student at the Institute for Computer Graphics and Vision at Graz University of Technology. Is now a multimedia freelancer and instructor for real-time art and animation. Is now researcher and developer at Real-Time Technology AG. With support by the team of Upper Austria University of Applied Sciences (Juergen Zauner, Michael Haller, Peter Brandl), hardware support by the Ars Electronica Center, and sound design by Mandala Weber.